Somkiat Prajamwong, secretary-general of the ONWR, said drought conditions are being reported in several provinces but that thanks to early planning by agencies, water shortages can be handled. His assurances came amid reports that several provinces in the northern, northeastern and eastern regions were being hit by drought. 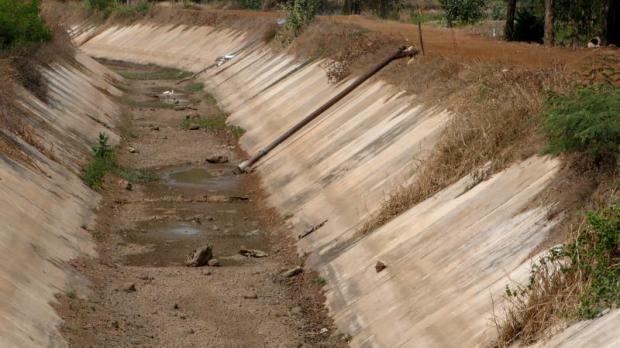 Moreover, 25 provinces, which are under the supervision of the 18th regional office of Provincial Waterworks Authority (PWA), are at risk of being hit by drought. The PWA is working with concerned parties to ensure the supply of tap water does not run out. In areas not covered by the PWA, eight districts in the three provinces of Roi Et, Si Sa Ket, and Trat have been declared drought-hit, he said. The ONWR has asked the agencies involved to send information about water resources in neighbouring areas to map out relief measures and manage water more efficiently. As for the farming sector, he said farmland covered by an irrigation system will have enough water if farmers use it more sparingly and refrain from growing additional crops. However, the Royal Irrigation Department (RID) has found that there are about 100,000 rai of farmland in seven provinces not covered by an irrigation system. The department is being asked to work closely with the concerned parties to revise water management, he added. Mr Somkiat said that as drought is also anticipated next year, similar planning is needed to make sure that water shortages will be minimised. According to the Department of Disaster Prevention and Mitigation, water trucks are being sent to 206 villages in eight districts in the three drought-hit provinces. Surasee Kittimonton, chief of the Royal Rainmaking and Agricultural Aviation Department, said rain-making operations will proceed on Monday to alleviate drought in Surat Thani, Nakhon Si Thammarat and Chumphon and that the agency is ready to set up an operations centre in Nakhon Ratchasima. In a speech marking World Water Day yesterday, Prime Minister Prayut Chan-o-cha assured that the 20-year master plan for the country's water management system would improve water security and that running water would be safe for consumption. Well, "Preparations made to tackle drought",... Better replaced by: .." Trying to do water shortest damage control, but how?".. ONWR: Water shortage can be handled. Really? How? 100,000 rai farmland are not covered by irrigation system! Farmers are crying for water. Planning-planning, for what? There is no thai water management. A 20 year master plan? Is that a thai plan? OMG, poor thai people. And running water safe to drink from tap, like in Singapore? Nice 20 years dream.